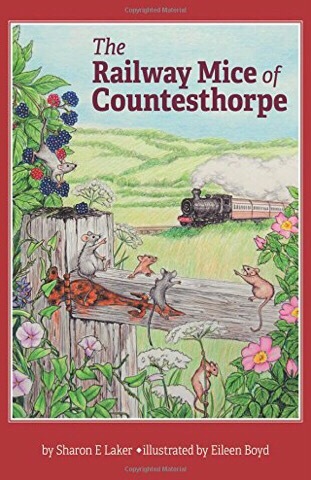 The Railway Mice of Countesthorpe by Sharon E Laker is an old-fashioned tale of mice and their adventures in the Leicestershire village of Countesthorpe. This book appealed to me for several reasons. First, I’ve always loved animal stories for children, from The Wind in the Willows through Mrs Frisby all the way to Redwall and Watership Down and (more recently) Varjak Paw. In fact, the first three (unpublished!) books I wrote were about rabbits – and possibly one of the reasons I didn’t get much interest in them was because animal stories are a little bit out of fashion. Which makes it all the more delightful to find a book like The Railway Mice of Countesthorpe. A special mention must be made about Eileen Boyd’s illustrations, which are absolutely delightful. The story has an enormous cast of varied characters, with a host of mice, young and old (I liked Whoo Whoo!) a couple of suspiciously friendly predators in Foxy the fox and Owl the owl, along with some particularly nasty rats. After a series of adventures and fun and games, the mice work together to help their new friend. This is a good-natured book, full of the meandering warmth of a summer day, and infused with gentleness and friendship. thank you for your wonderful review. Your kind words mean a lot to me. I’m glad you enjoyed “The Railway Mice of Countesthorpe”. Your right that this story is a little old fashion, as this was my intent. We live in a world filled with electronic devices and I wanted to take my reader to a time when things were simpler and more pure. I agree with you on the Scottish dialect. My original MS had a lot more Scottish in there, but my editor told me to take it out because children would have a hard time understanding it. Maybe, I should have left it the way it was? Eileen Boyd is a wonderful artist. She did a great job with the task that was handed to her. I would definitely recommend her. I gave her ruff sketches of what I wanted and Eileen put her own twist on them and came up with these brilliant drawings. The Mr. Pickles sketch was one of my favourites. My favourite character in the book is Key. I think this is because I use to work with children with many types of disabilities. 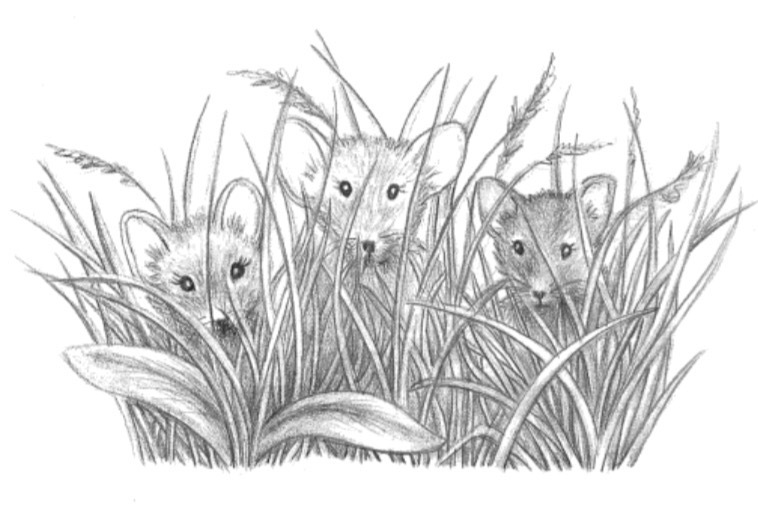 Key is the main character in my next book , “Time Gone By” with the Railway Mice of Countesthorpe. In this book the naughty little mouse has a challenge ahead of him that the other mice don’t think he can do. Key’s personal growth proves them wrong. This story also deals with something not many children’s books do, and that is death. I’m dedicating this book to children battling various terminal heath issues. My goal is to help lessen their fear of death by presenting it as not an ending, but a beginning to something different, something magical. This I feel I have achieved. I hope my readers feel the same way. Thanks for your comment Sharon! “Old-fashioned” is certainly no criticism in my book – I think it’s a terrible shame that animal stories are out of fashion these days. The two options are the full Scots: “When are ye gaun tae gie us some warm weather?” – which might be a bit much for an international audience. Using “ya” and “gonna” falls between those two stools. It’s a very minor thing! You definitely got it right by inserting dialect words like “wee”, “bairn” and “lassie” in his speech. A few dialect words in standard English can go a long way in children’s literature.